Goa is a different world altogether. Along with sun kissed tropical beaches and susegado,there are a lot of activities to keep you on your toes. 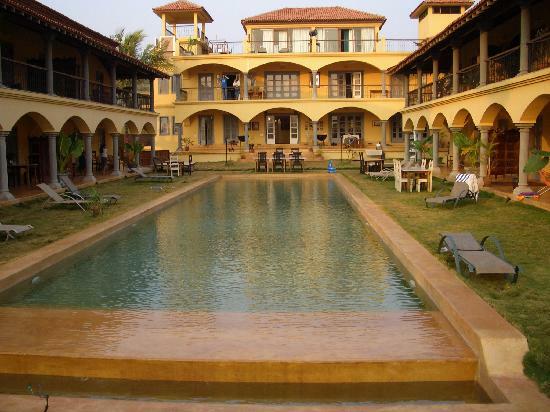 Couple it with the vibrant nightlife, colonial ambiance and some best luxury hotels in Goa that are being operated by international hospitality chain, this tiny emerald is the place to indulge both in unhurried luxury or business events and even for romance & honeymoon. Besides some world class beaches, things to do in Goa include visits to the spice plantations, medieval churches, wildlife sanctuary and a lot of shopping and nightlife. So if you are looking to splurge in some of the plushest properties and indulge in "VANITY AFFAIR", we bring to you the list of 5 best luxury hotels in Goa. As they say, "live a maharaja life now!" 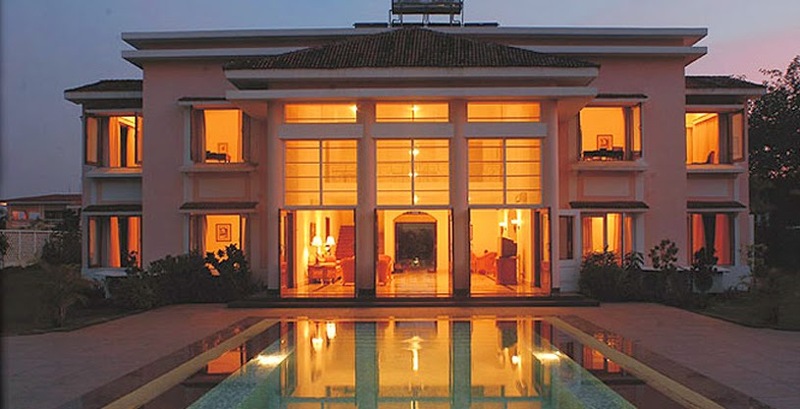 Vivanta by Taj, Aguada: Goan-Portuguese architecture marks 145 rooms including 14 suites in the sea facing main complex. To Splurge look for Private Hermitage Villa. What is it that draws you to a hotel? Makes you exclaim yes! This is it? If it's the romantic ambiance, heritage connection or the refinement and the fact that it's the first choice of who's who in the world then yes! Vivanta by Taj Fort Aguada is it for you! At its best, the hotel is an impeccable fusion of contemporary and its Portuguese connection. For yes, it used to be their sea fort. The X Factor is the sweeping view of the Arabian Sea lines over the massive ramparts and Jiva Spa for blissful indulgence. Cuisine at the Vivanta by Taj Fort Aguada is as expected from Taj hospitality group is at its best offering Authentic Goanas well as specialities from around the world. 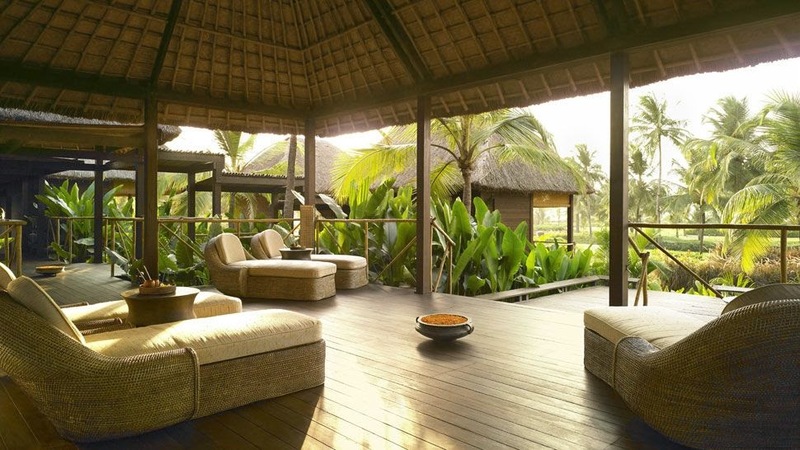 Luxe Recommendation: For sheer indulgence opt for private luxury Aguada Hermitage villas with Balinese landscaping. Nestled in the hill, you soak in the spectacular panoramic views. Definitely worth it! Address: Sinquerim Bardez Goa-403 519 India. Does it click with you? 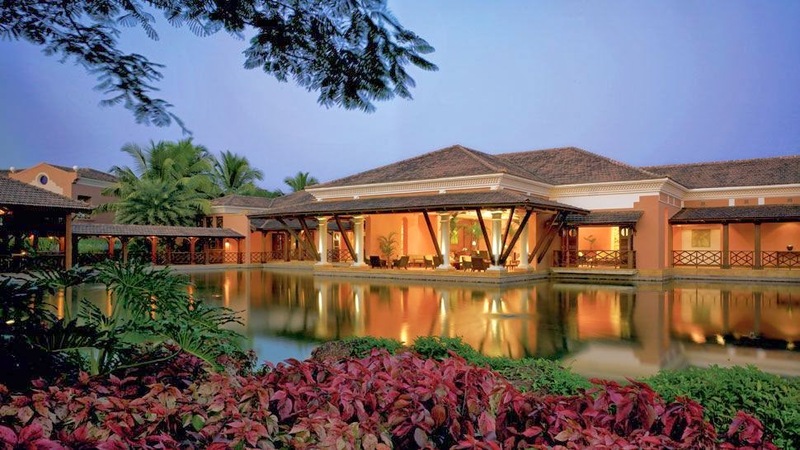 At Leela Goa, the traditional Indian opulence meets the refinement of art deco-esque Portuguese villas. It’s not just the charming welcome by the staff as you are adorned with garlands and offered coconut juice that is the beginning of Goa’s inimitable susegado, it’s the air itself that distinguishes this luxury hotel in Goa from the rest. Leela Goa is the ultimate escape from the hustle bustle and stresses of your busy corporate, or for that matter simply the drudgeries of life. 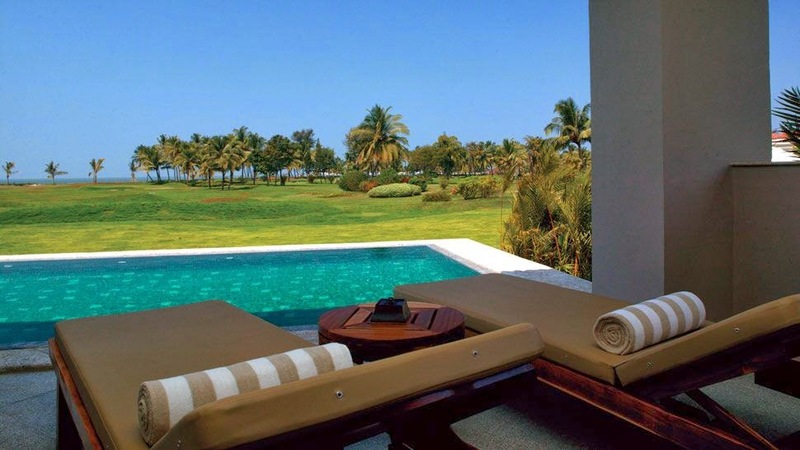 Nestled snugly in 75 acres of lush surroundings, this luxury hotel in Goa with its 206 luxury rooms and suites, a rejuvenating spa, private beach, 12 hole golf course and the authentic restaurants redefines the art of fine living. 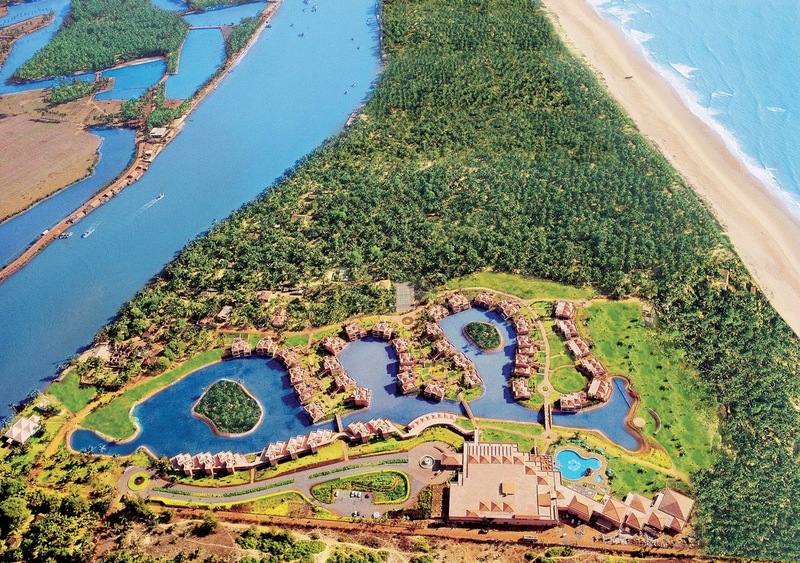 The hotel is squeezed between River Sal and the Arabian Sea with a pristine white sand beach and view of lush lagoon. Envisage your own private balcony overlooking the palm-fringed lagoon. The comfort and indulgence are aplenty when it comes to accommodation at the Leela Goa. The interiors are impeccable fusion of the Portuguese inspired styling and decadence of Indian royal palaces. The premier rooms come with dining spaces with ocean views and private plunge pools whereas the Club rooms are resorts within the resort with complimentary Limousine transfers to airport. For world class dining experience and authentic platters of Goan cuisine, the Signature Jamavar - restaurant designed by Jeffrey A. Wilkes of DESIGNWILKES fame is the place to be. Open air dining at Riverside restaurant offers a romantic setting with eclectic Italian cuisines. Luxe Recommendation: Mix indulgence with bliss at one of the most luxurious 5 star hotels in Goa, reinvigorate yourself with a 90 minutes Indian Magic spa treatment preceded by a round of golf at the 12 hole course. Spice it up with Goan Cuisine at Jamavar followed or preceded by a bottle of cognac as you puff away a hand rolled cigar in unhurried luxury. Dining: Café; Jamavar (Indian Cuisine); Susegado (Portuguese Cuisine); Yali Lounge; Pool Bar. Nestled amidst 85 acres of well manicures garden and land, the Lalit Golf & Spa Resort in Goa is one of the most luxurious hotels in Goa. It is also the only one in India with Link golf club in India with a 18 hole golf course. Architecture inspired by the Portuguese heritage of Goa, the Lalit Golf Resort & Spa offers accommodation in luxurious suites. This luxury beach resort in Goa also offers the option of private stay in 10 lavish private villas offering a feel of home away from home. Considered one of the best luxury hotels in Goa, the Lalit (formerly Intercontinental) is 90 minuted drive from Goa Airport and 45 minutes drive from Madgaon Rail Station and just 2 miles from Palolem Beach in South Goa. For those interested in water sports and adventure this luxury resort offers activities such as para-sailing and windsurfing is available at the hotel. For couples looking for romantic moments, invigorating massage sessions, sunset cruise and candlelit dinner could also be arranged at the hotel. Fishing trips are also arranged at this resort on request. The hotel features 4 restaurants but the pick of the hotel is the outdoor pool named Gazebo with a sunken bar, a place for siesta, fun and getting in high spirits. Luxe Recommendation: Indulge and pamper yourself at the Rejuve: The Spa at the Lalit Golf Resort & Spa in Goa. Spread across 15.000 sq. ft. Rejuve is the second largest luxury spa in Goa. The spa consists of a gymnasium. wet area and yoga studio with 10 plush treatment rooms where beauty treatments and therapies inspired by Ayurveda: the ancient Indian science of wellness as well as western therapies are offered to rejuvenate the guests and harmonize the body, mind and soul. Located just 15 minutes from the Dambolim Airport in Goa, Park Hyatt Goa Resort & Spa offers luxurious stay to the descerning travelers in its 250 Psouda style rooms and suites that presents a seamless fusion of the Goa's rich heritage with its vibrant present. Sprawling over an area of 45 acres of picturesque landscape and well manicured gardens, this luxury beach resort in Goa also houses the award winning Sereno Spa. 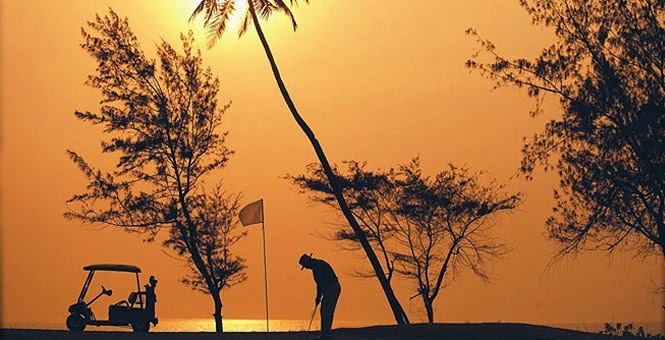 Water sports and activities such as archery, beach volleyball and lawn tennis facilities are also available at the nearby Arossim Beach, one of the unspoiled beaches in South Goa. Yoga sessions and horticultural tours are also arranged for the descerning travelers looking for rejuvenation and insider experiences. Considered one of the top luxury hotels in Goa, Park Hyatt also features India's largest swimming pool with slides. The well-appointed rooms are categorized as Park Twin, Deluxe Twin, Deluxe King, Pool View Twin, Pool View King, Sea View Twin, Sea View King, Vista Suite, Park Suite, and Imperador Suite. Luxe Recommendation: Sereno, the spa at Park Hyatt Goa offers a range of holistic therapies inspired from Ayurveda and Yogic tradition of ancient science of healing. At Sereno Spa, the timeless therapies are combined with contemporary principles of well being namely energy chakras and aromatherapy to offer holistic treatments to the guests. A variety of massages and yoga sessions are also offered at the Sereno. Address: Arrossim Beach, Cansaulim, Goa, 403712 India. Distance: Airport - 15 km; Railway Station - 18 km. Dining: Casa Sarita (Goan Restaurant); Masala (South & North Indian Cuisine); Da Luigi (Italian Trattoria); Village Café; Palms (Grill & Barbeque); Praia de Luz (Lounge Bar); Poolside Bar. The Sur La Mer is one of the best hotels that are acclaimed for providing excellent accommodation. Along with this, this hotel is also praised for providing accommodation for guests with different budgetary preferences. The rooms are also backed with modern amenities and services that ascertain excellent accommodation. Address: Morjim, Pernem Taluka, Ashwem Road, Morjim, 403512, India. Distance: Airport - 54.5 km; Railway Station - 55 km. Dining: Bakery (Chocolate Fondant and Filo Pastry); Multi-Cuisine Restaurant.